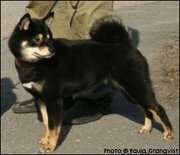 Our own regional kennel club, Örebro läns kennelklubb, has its annual dog show in Askersund this weekend. None of us are shown there this year. This is a shame. 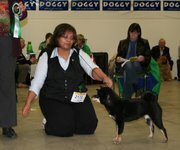 It is so fun to go to dog shows and there is a point in going to the show of your own regional club. We will have to come back next year instead. This year, Daniel goes by himself, working as a ring steward. He is having fun.